The story of Gano's crossing the Arkansas River. Great stuff. What did Reflections, Pistachio's and Casa Blanca all have in common? DISCO, baby! I don't know about the rest of you out there, but Saturday Night Fever changed this girls social life in college. So, let's trip…..or rather Hustle down Memory Lane with this video from KOTV's vault. Steve Warren wrote, produced and directed a series called "History Minutes" back in the 1990's with the cooperation of the Tulsa Historical Society. He recently uploaded some of these gems to YouTube and I thought I would share them here. This first one is about the Tulsa Confederate Reunion of 1918. Enjoy! One of the many things currently occupying my time these days is working on a new educational program for the Tulsa Historical Society. 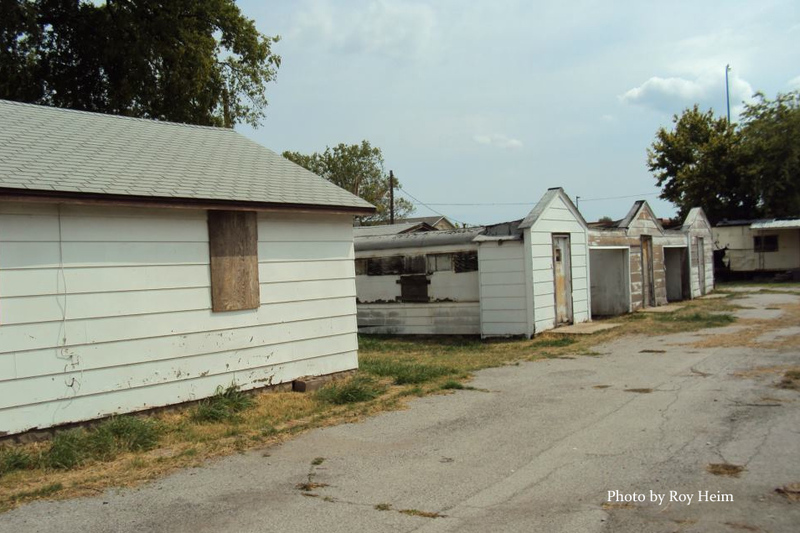 This one is on Tulsa Homes by Mail- the catalog mail order homes that are still standing in Tulsa and the surrounding area. It has been a lot of fun and so educational for myself and my partner-in-crime Marian (the scriptwriter) to "learn from the master" Rachel Shoemaker, our local expert in all things mail-order homes. Rachel is a retired firefighter-turned-researcher/historian with a passion for discovering and documenting these homes along with their histories. 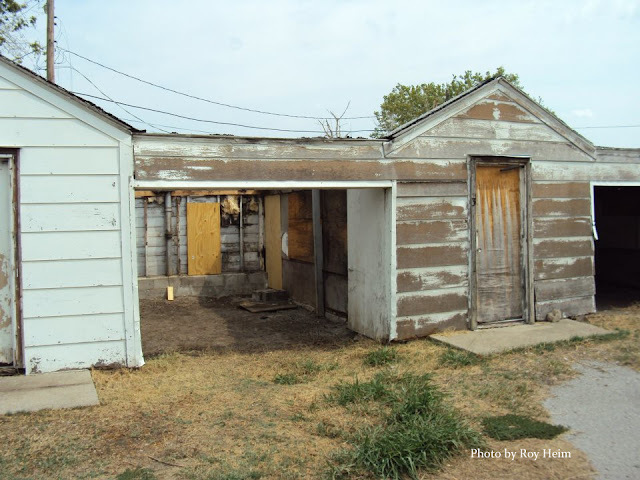 She has been posting her finds on Facebook and Flickr for awhile now and just this week began a long awaited (by many) blog: Oklahoma Houses By Mail. Another activity that now also occupies my time is fabric design. I have discovered a passion for this and I have incorporated my Tulsa history interest into a few items I created. I opened a little online shop on Etsy named (what else) Tulsa Gal's Shop. I finally have a place to offer my cookbook and will have some more neat Tulsa-related stuff soon. New App For Tulsa History Buffs! The Tulsa County Library has a GREAT new app in Apple's App Store that they want to share with you! 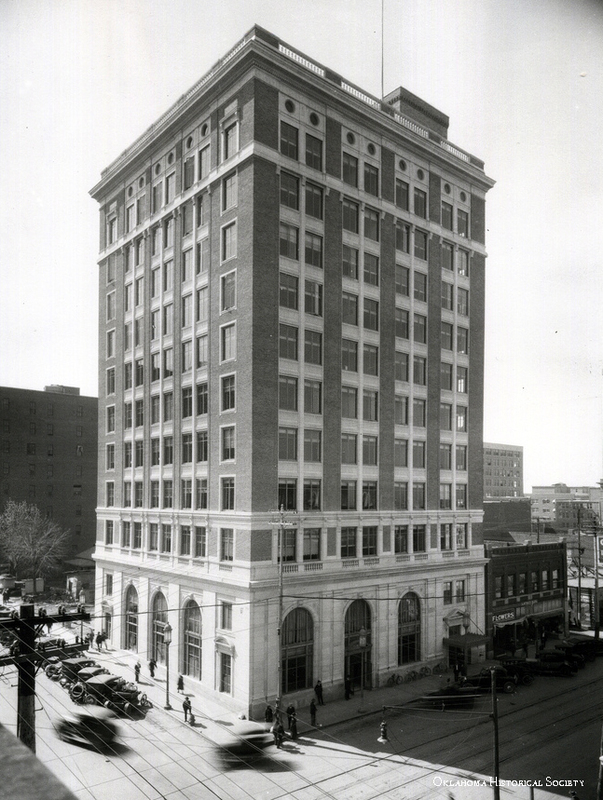 "Tulsa Then and Now: Mapping the BFC" provides access to approximately 300 photographs selected from the Beryl Ford Collection. It includes streets, buildings, and residences. 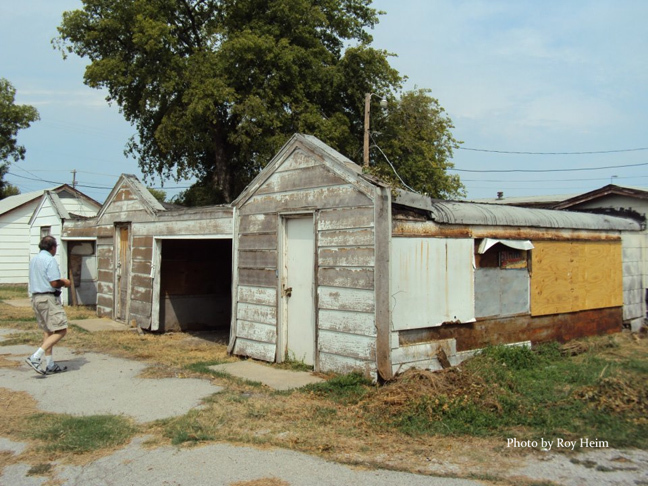 Browse, search, and view these historic images that document growth and change in Tulsa. The photographs have been mapped to allow for location-based browsing and to enable you to find images nearby your current location. When you find a remarkable image from decades ago, share it via email, Twitter, or Facebook. 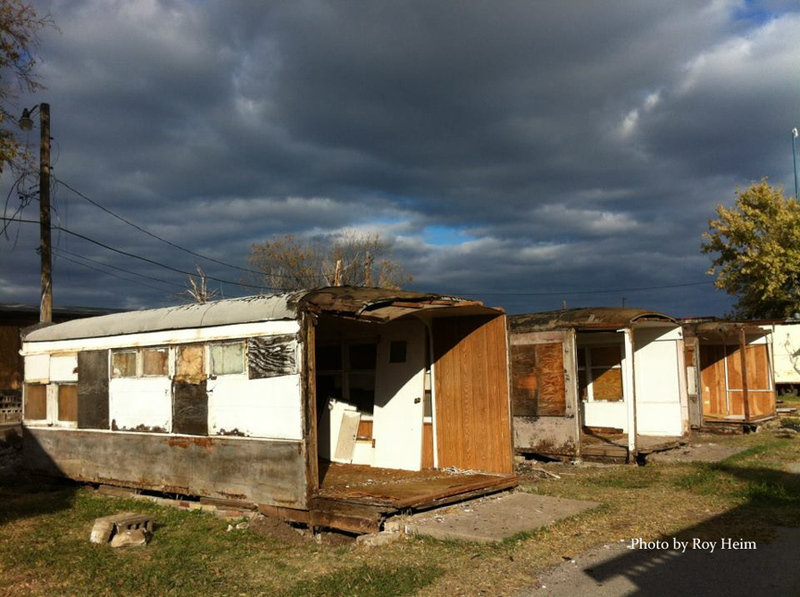 Snap your own photo of present-day Tulsa and send it side-by-side with the historic image, creating your own custom Beryl-O-Gram. 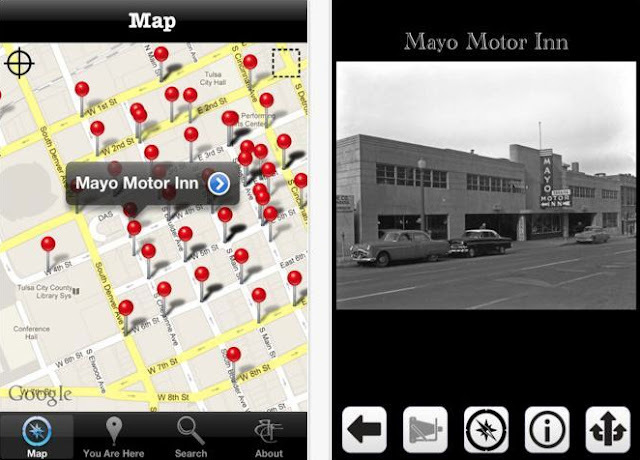 You can even use the camera on your iPhone, iPad or iPod Touch to overlay the historic photograph with your current view. 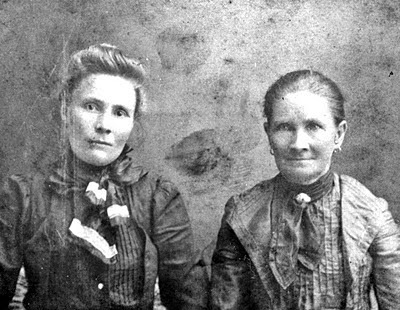 Although I normally stick to Tulsa history on this blog, occasionally something comes along regarding our state's history that I must share. The Oklahoma Historical Society has been busy digitally converting entire film collections, thanks to some fancy new equipment they acquired this past December. They share a sneak peek on their blog today. This footage is from the Haskell Pruett Collection that "documents community events such as parades and rodeos as well as leisure activities of an Oklahoma family from 1929 to the late 1960s." While there is no sound, it is nonetheless a fascinating glimpse into the way life was. There was always a parade before the Raft Race event, held in downtown Sand Springs. Were you a Pokie Okie? 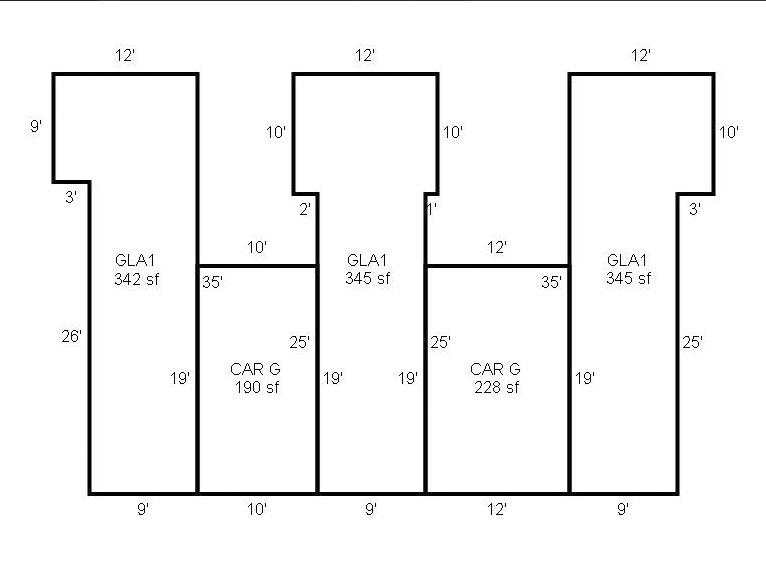 It's minutes from a 1975 BOA (Board of Adjustments) meeting where the Doctors Hospital was trying to get a variance to build a shuttle overflow parking lot on the abandoned rail road right-of-way south of 25th St. So that confirms what the neighbors said. They were apparently also concerned about drainage on the site which probably explains the complex storm drain system. 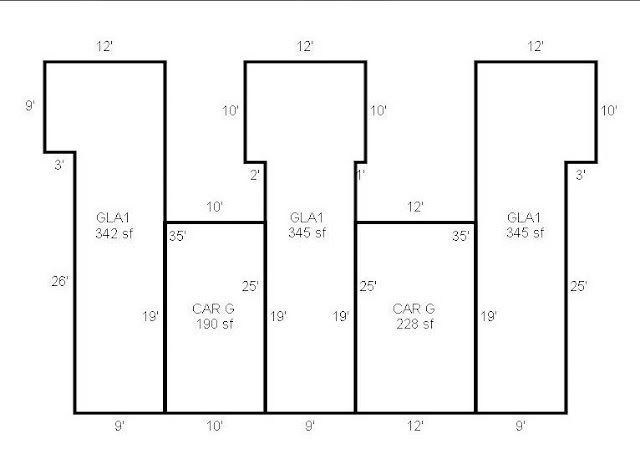 It's also interesting that their original request included the right-of-way one block north as well. And there you have it. It may take awhile to find answers to the past, but what I have learned that there are great readers and history buffs around willing to help out. Thank you Jeff and everyone else who contributed ideas and stories about this area. If you would like to read the meeting minutes click HERE. In my high school days, cruising the Restless Ribbon (aka Peoria in Brookside) and/or hanging out in various parking lots socializing, was just one of those things that we did Friday and Saturday nights. I have fond memories of getting a bite to eat at Pennington's Drive-In as well as playing on my friend's CB radio while we cruised. 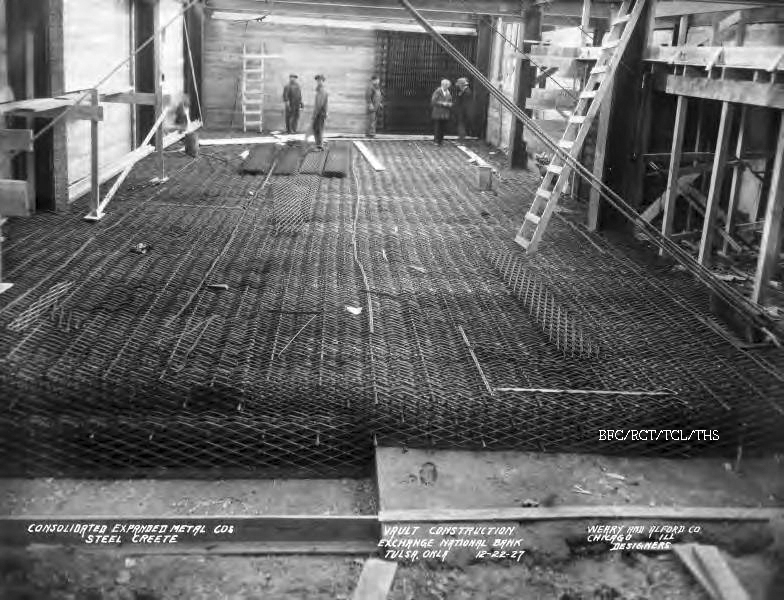 As KOTV prepares to move into a new building they are going through all of their old video and sharing some of what they found. Filmed in Bellaire Village 1979, catch glimpses of the Camelot, the cars and the styles of the day. Two old Birney style trolley car shells have rested patiently in the north yard of the Spring Loaded Brewery building at Main and Morrow Road in Sand Springs, Oklahoma for years, waiting for patient hands to bring them back to life. Their story began in 1918 when they were built for the Tulsa Street Railroad Company to transport passengers around the growing city. The single truck trolley worked hard for years, until the change from steel wheels on rails to rubber wheels on roads took place. Trolleys as primary transportation quickly gave way to Model T's and A's. 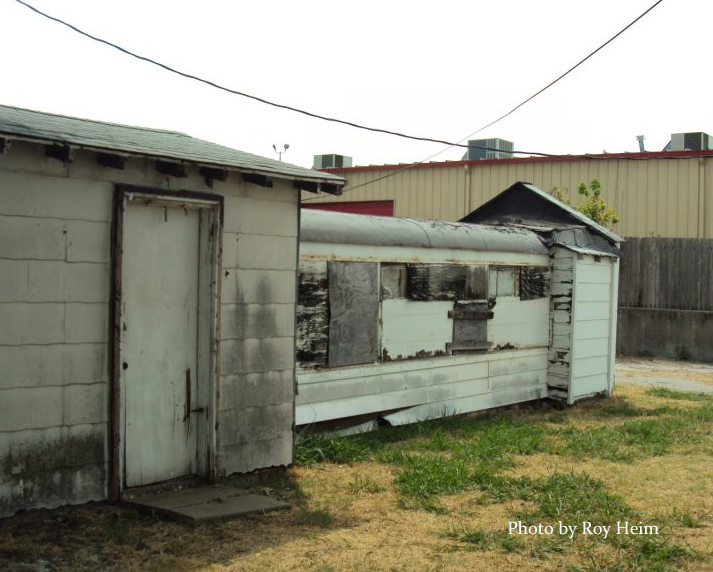 Door to door convenience replaced trolley waiting rooms and stations in Tulsa. The Tulsa trolleys, with two and three digit numbers started to fade. They were put on sidings for a while and then off the sidings to obscure lots. Some, like the two old Tulsa trolleys, were converted to makeshift storage places and even temporary homes. Once the trucks were removed from under the trolleys the dreams of clickety clack, clickety clack began to fade. For some people the sound kept coming back into their thoughts and this is the sound that drove the beginning of the restoration of the Tulsa trolley. Two of the original trolley car shells remain. Two will be sent to a restoration barn by several interested groups to be combined in the trolley barn into one shining restored car. 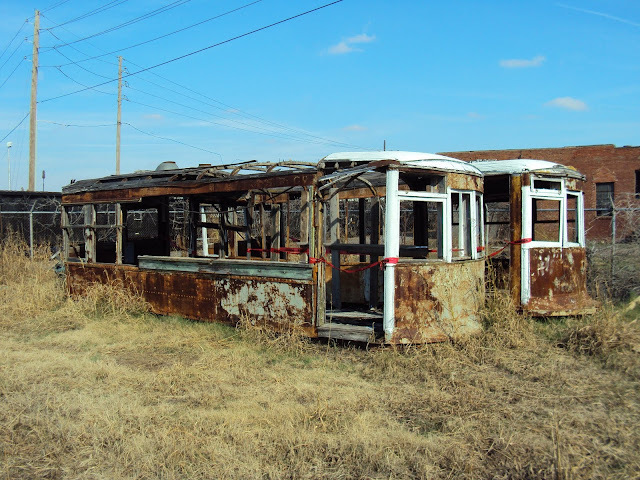 The Tulsa Trolley Restoration Story will be followed on this site. The story will be told by volunteers who work on the trolley and those who donate to the restoration. Follow along with us as we watch the restoration in words and pictures. 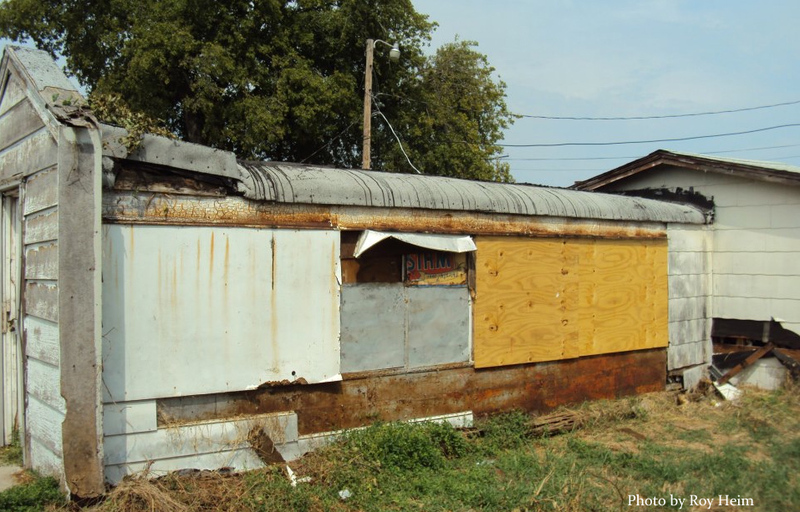 Roy shared that the goal is to make these a beautiful exhibit at the Route 66 Village, to show the trolley history of Tulsa, right next to the Frisco 4500 Meteor that was moved there last June. A couple of years ago I wrote about how excited I was that the Nelson's chicken-fried steak was back. Well guess what? It's back again! As reported by Scott Cherry in the Tulsa World earlier this week, Suzanne Rogers has brought the old buffeteria back to the South side and we couldn't be happier. It is located at 44th and Memorial, where Betty Ann's used to be. I remember when Betty Ann's opened back in the early 1970's. My dad often scouted out places to eat during his lunch time and returned with the family if he liked it. Betty Ann's was named after a teacher at Memorial High School, I'm told. I am unsure of the ownership history these past 30+ years but I do know it has been an excellent location despite the decline in it's last years. Breakfast and lunch crowds were usually good. Ironically, one Sunday a few weeks ago after having lunch downtown, my spouse and I decided to cruise around some. He wanted to check out the Nelson's Ranch House over on 3rd to see if it was still open on Sundays. Owner Nelson Rogers has been playing around with the hours on weekends and we weren't sure what they were anymore. It was not open and, in fact, we weren't sure if it was still in business - I noted that the signs and memorabilia that used to be by the entrance were gone. We continued our drive and ended up on Memorial Drive heading home. 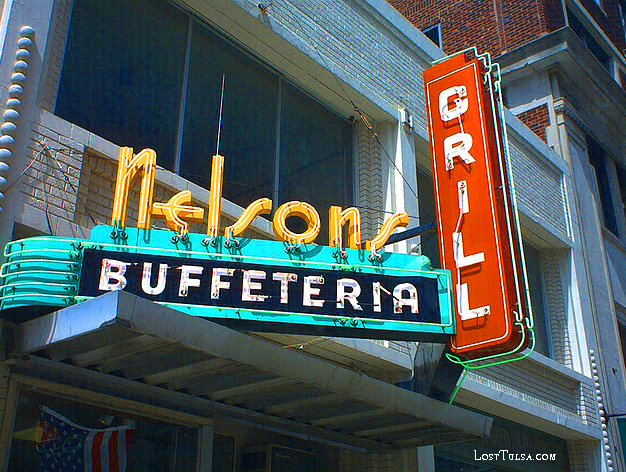 We both saw the sign at the same time: Nelson's Buffeteria - !! What?! The sign had just been put up that afternoon. We high-fived each other at our luck in having this so close by. Breakfast was served one week later and we were there. The lines have been out the door every day since that opening. I knew that if we wanted lunch I was going to have to get there fairly early (before 11:30) to get a booth. I was pleasantly surprised that sitting by the door entrance were 3 fellas playing tunes, just like they used to have downtown. And the food did not disappoint! The chicken-fry/mashed potatoes/gravy were just as I remembered them from years ago. This meal was just a little bit better than the same at the Ranch House and it's because of the gravy, I think. The new restaurant's gravy has more flavor. The fried okra was fresh and wonderful. We each got a piece of Suzanne's pies (chocolate and coconut cream) to go. Awesome. Come to find out, Nelson's Ranch House is not out of business, just not open on Sundays. And that missing memorabilia? Why, it's all over at the new restaurant! The old Nelson's neon sign has been located and is being readied to put up in it's new home. Can't wait. If you have the time and the interest in looking through old photos, then why not help out the Tulsa Library and the Historical Society at the same time. How? By looking through the hundreds of unidentified photos from the Beryl Ford Collection and seeing if you can help identify any people or places. The Tulsa County Library has posted over 1,000 of these photos onto Flickr and is asking for your help. There are two categories Unknown People and Unknown Places. It is asked that you leave a comment on a specified photo with the identifying information or email them (unknowntulsa@tulsalibrary.org) and they will work with you to conclusively identify the photo in question. 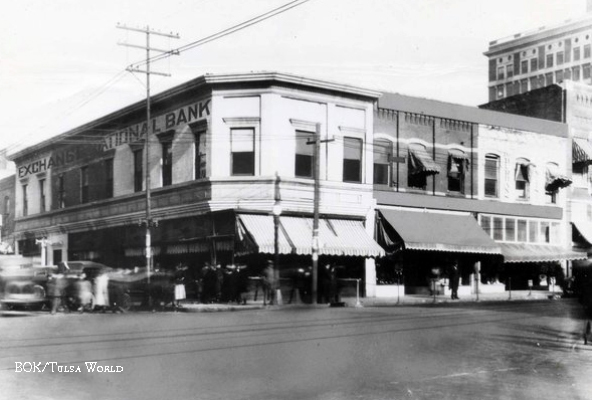 Tulsa's first bank was born July 29, 1895 in a brick building that sat amid the dust and prairie chickens, cooling themselves near the foundation. 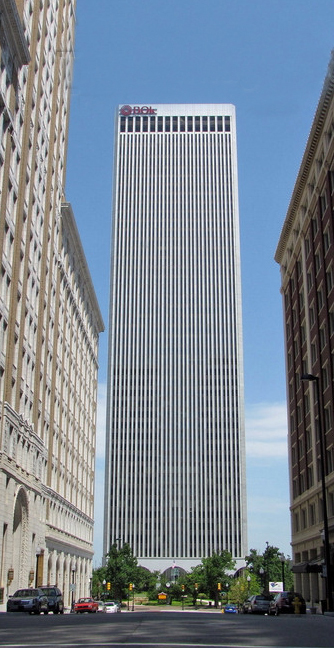 Called the Tulsa Banking Company, it boasted when deposits reached $65,000 from a population of 1,300 later that year. 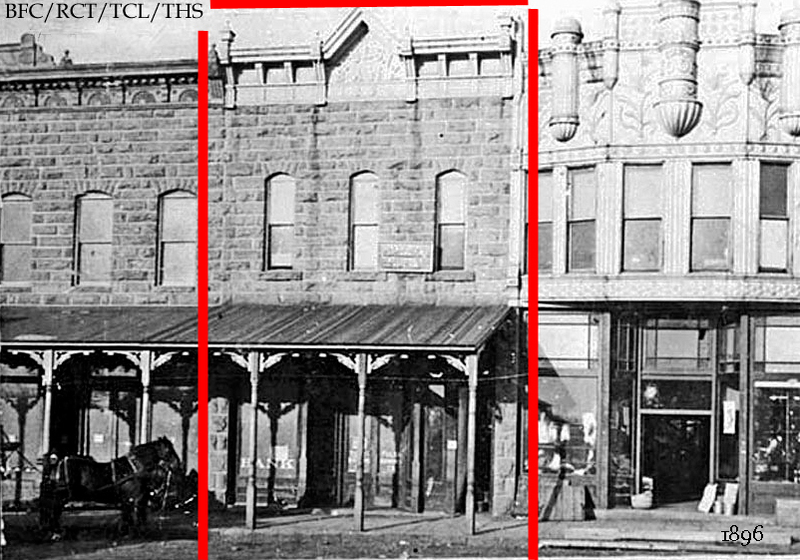 with Planter's National on the southwest and the National Bank of Commerce on the northeast corners. 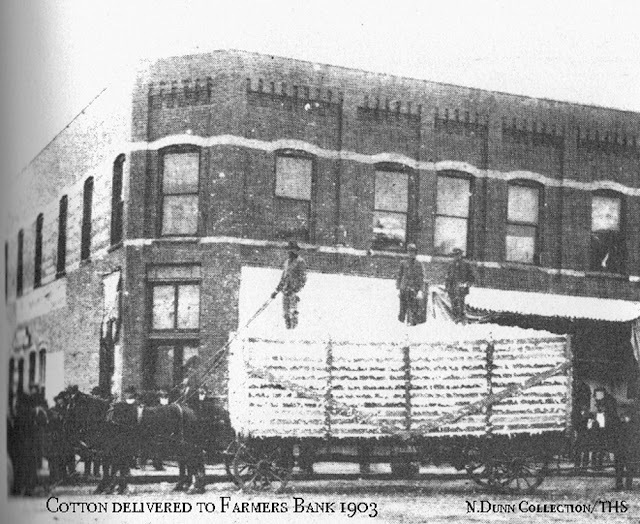 The Farmer's National Bank was organized in 1903 by the Marr's brothers. Oilman Charles Simmons took the helm in 1909 and the bank rose to be one of the largest in the city. 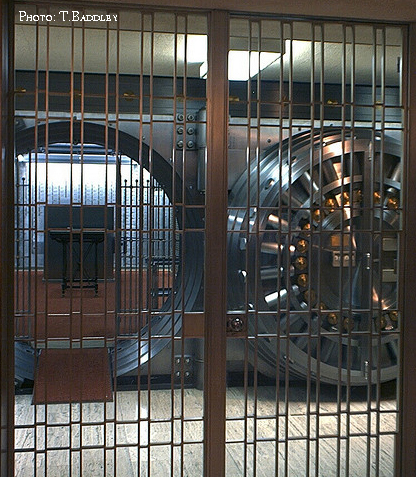 Controversy over connections with the failed Columbia Bank in Oklahoma City however, caused deposits to drop and the doors were closed. 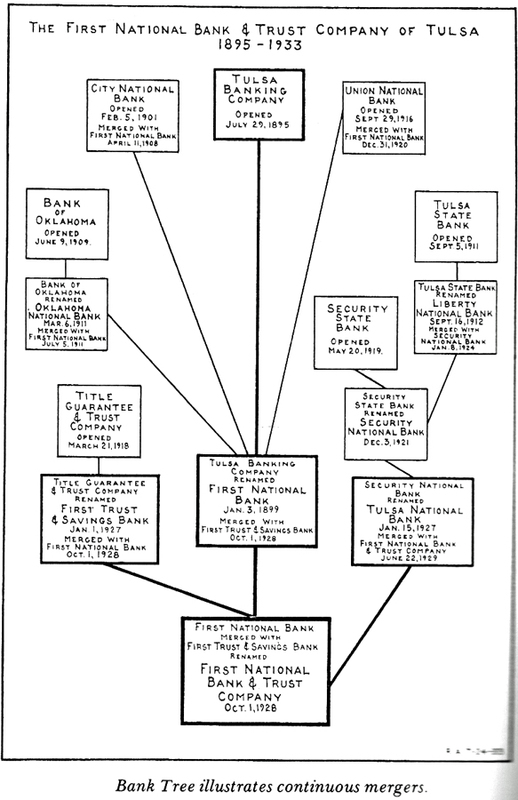 The night after the failure, thirty of Tulsa's wealthiest oilmen met and formed a plan for reorganization. 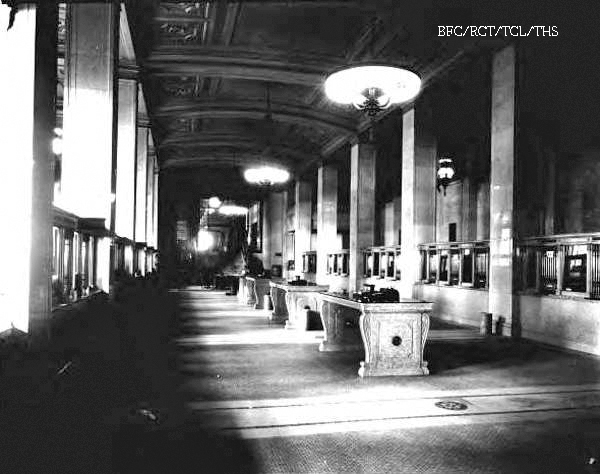 In February of 1910 the bank reopened the same doors, but with a new name: Exchange National Bank. 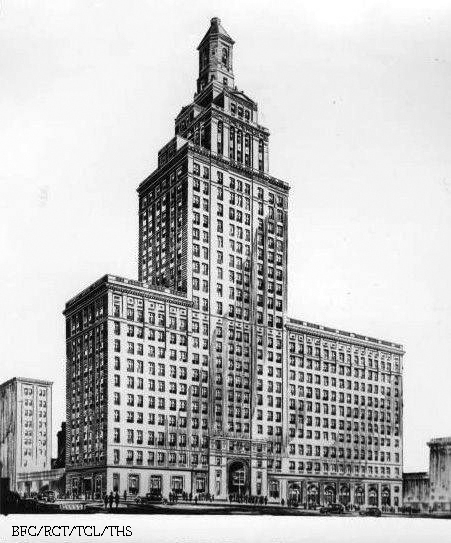 In 1917 the fast-growing bank moved into it's new twelve-story building at 302 S. Boston. As Exchange Bank absorbed more and more of the smaller neighboring banks, it's home grew as well. 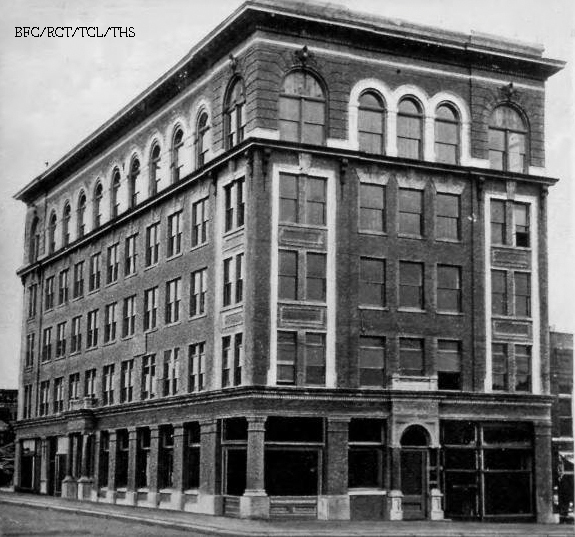 During 1922-23 the second section of the building was extended to include the full block from Third to Fourth Street on the west side of Boston. Artist pen and ink drawing of the future bank building. 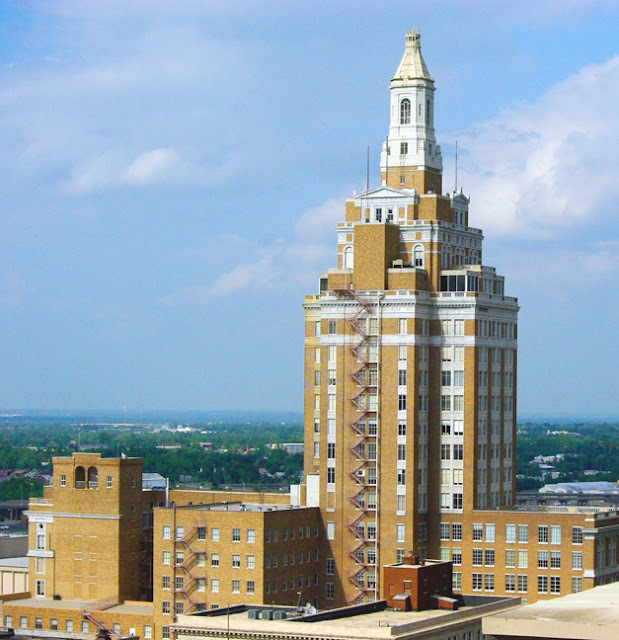 In 1927 a four hundred foot tower was completed atop the building, making it the tallest in the city and dominating Tulsa's skyline for the next thirty years. It was during this time that a new vault weighing 55 tons was added, requiring intricate construction. It is said that temporary railroad ties were laid from the train station to the construction site to transfer the vault to the bank. 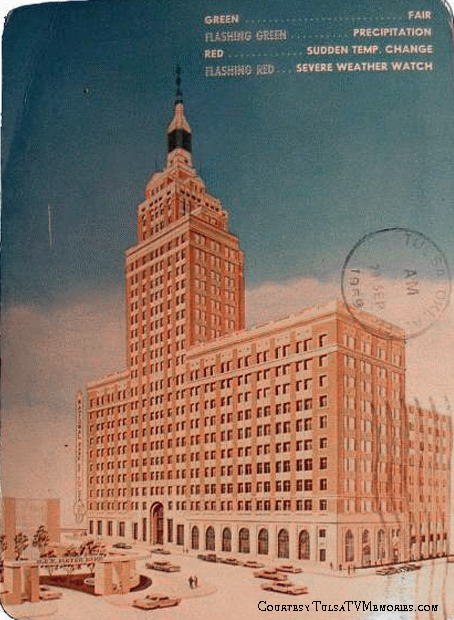 In 1938 The Exchange was illuminated creating an impressive nighttime picture. The weather lights were added to the tower in 1960's, changing colors to give the forecast. Although sources give the years 1967 to 1973 as the time period for the "weather teller" this postcard indicates that the idea, anyway, was much earlier. 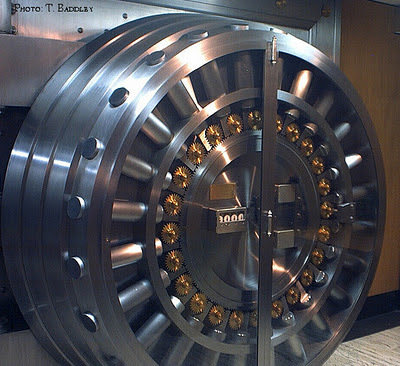 Even when the Depression hit, many of the large stockholders advanced money into the bank to help meet demands and remain in business. 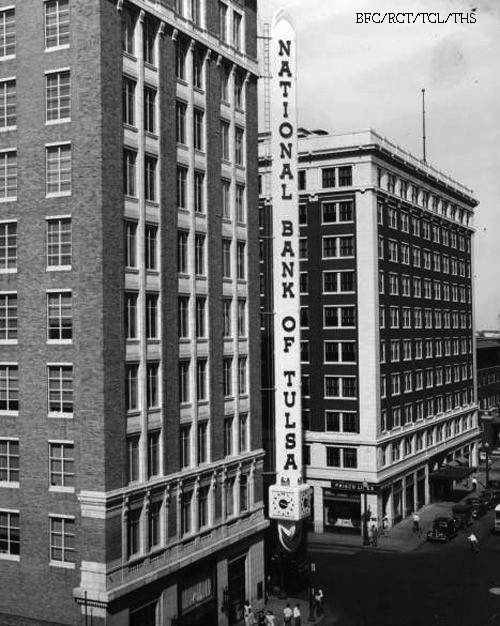 In 1933 the Exchange National Bank was reorganized and the name changed to the National Bank of Tulsa. Forty two years later, the name was again changed, this time to Bank of Oklahoma and in 1976 the bank's business was moved into a brand new 52-story skyscraper. They celebrated 100 years of business in 2010.